Anyone interested in finding social work jobs in Spain should note that it is not an easy profession to enter as someone from overseas. For a start, a very strong knowledge of the Spanish language is required and there are also essential qualifications which must be held in order to gain access to the profession. In Which Fields Are Social Workers Employed In Spain? Anyone from overseas interested in finding social work jobs in Spain must first understand the context of social work in the country. In Spain, social workers are closely coordinated within public administration social policies, with professionals working in a range of environments including with private companies, within public administrative bodies, educational establishments, international organizations, and other social bodies. 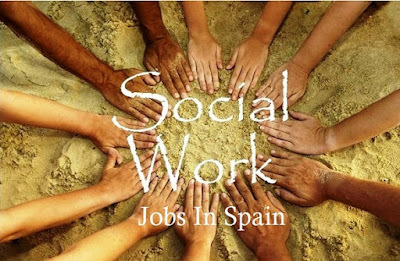 Most Spanish social workers are employed by the public system of Social Services. Each region of Spain will have its own jurisdiction and Social Services laws and therefore in order to successfully obtain employment as a social worker in the country it is essential to not only have a thorough understanding of the national legislation relating to the profession, but also the local territory laws too. In Spain, social workers are responsible for designing, planning, implementing, calculating, modifying and evaluating social service policies for communities and groups as well as working with individual cases, communities and groups across a broad spectrum of settings. They are responsible for providing services and resources to many population sectors. If you are looking for employment as a social worker in Spain, the first step is to comply with the country's regulation legislation. As a regulated profession in Spain, social work employees must comply with certain criteria in order to be eligible for employment. Firstly, the candidate must have a university degree in a discipline directly related to Social Work and they must be registered with their professional association body. If a candidate has not obtained the relevant Social Work undergraduate degree from a Spanish university, but instead received their award from another European educational establishment, they cannot obtain employment as a Spanish social worker without first applying for their social work degree to be recognized by the Spanish Ministry of Health, Social Services and Equality. To do this, the candidate must submit the relevant application form to the Directorate General of Services for Family and Children in order for their qualification to be officially recognized allowing them to practice. For anyone who has obtained their Social Work qualification in a non-European country, they must first apply for equivalency for their qualification from the Ministry of Education, Science and Sports. Once the candidate's qualification has been recognized, they must then register with their Spanish province's Official Association of Social Work. The documentation required for this will vary depending on the province in question. For those who are coming from non-Spanish speaking countries, it will also be vital to demonstrate a strong competency in the Spanish language, often by holding a Spanish language qualification. In some fields, however, it is important to note that having a second language will be advantageous, especially when working in primarily ex-pat communities. Once your professional qualification has been officially recognized and you have registered with the relevant authority in your region, you can then apply for a position. One way of finding suitable employment is to visit the Spanish social work professional colleges or General Council websites as these are a source of information about private and public sector social work jobs. Some jobs will also be listed on the internet on both general job seeker websites and on specialist Spanish social work websites.